Romance is in the air with these Pocket Pop! Key Chains! 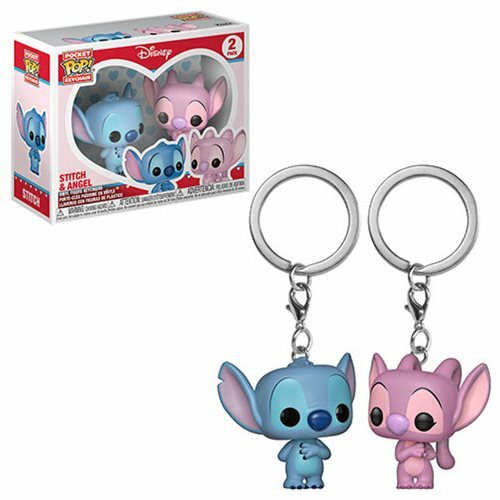 This Lilo & Stitch Angel and Stitch Pocket Pop! Key Chain 2-Pack includes the dynamic duo in an adorable window display box. Each key chain figure measures approximately 1 1/2-inches tall. Ages 3 and up.